Varian Fry (1907-1967) led rescue efforts in wartime France that enabled approximately 2,000 anti-Nazi and Jewish refugees to flee Nazi-dominated Europe. In recognition of his efforts, Yad Vashem, the Israeli Holocaust remembrance authority, honored Fry as a “Righteous Among the Nations,” making him the first American to have received that distinction. Fry’s concern for refugees arose from his shock at witnessing Nazi violence against Jews on a 1935 trip to Berlin and from his later involvement with the Emergency Rescue Committee (ERC), a New York-based organization of political activists who gathered after Germany’s defeat of France in 1940 to promote the emigration of refugee intellectuals. In August 1940, under the auspices of the ERC, Fry traveled to Marseille with $3,000 and a short list of refugees under imminent threat of arrest by the police or agents of the Gestapo. Once there, Fry found clamoring at his door a tumultuous horde of anti-Nazi writers, avant-garde artists and German socialists. All were desperately seeking any chance to escape France. The situation forced Fry to look for assistance and in time he gathered around himself a small group of like-minded Americans, refugees with diplomatic or underworld connections, and those French citizens who were sympathetic to the refugees’ plight. Fry and his compatriots arranged escapes from French internment camps, forged passports, and orchestrated illegal border crossings, among other dangerous activities. Eventually, Fry and his compatriots provided financial or travel assistance to approximately 4,000 refugees and enabled almost half of them to escape, all on limited resources and without the approval of the United States consulate in Marseille. Fry’s activities put him in conflict with the Vichy police, who put him under surveillance and eventually expelled him from France in September 1941. Fry returned home to New York to a less than warm reception from both the State Department, whose policies he had flouted, and surprisingly from the Emergency Rescue Committee itself, which disapproved of his extralegal methods. What recognition Fry has received has been for the most part posthumous, though the French government did honor him with the Croix de Chevalier de la Legion d’Honneur for his rescue activities, just prior to his untimely death in 1967. The following bibliography was compiled to guide readers to selected materials on Varian Fry that are in the Library’s collection. It is not meant to be exhaustive. Annotations are provided to help the user determine the item’s focus, and call numbers for the Museum’s Library are given in parentheses following each citation. Those unable to visit might be able to find these works in a nearby public library or acquire them through interlibrary loan. Follow the "Find in a library near you" link in each citation and enter your zip code at the Open WorldCat search screen. The results of that search indicate all libraries in your area that own that particular title. Talk to your local librarian for assistance. Recounts the efforts of Fry and the Emergency Rescue Committee on behalf of many notable refugees trapped in Vichy France. Draws on the postwar memoirs published by some of the refugees for recollections about Fry and the wartime situation in Marseilles. Part of the proceedings of two colloquia held at the Smithsonian in 1980 to celebrate Albert Einstein’s 100th birthday. Briefly recounts Fry’s life, rescue efforts, and posthumous recognition as a hero. Includes a sidebar on the life of the expatriate American heiress, Mary Jayne Gold, who assisted Fry while he was in Marseille. Provides a list of sources of further information. Analyzes the formidable risks and extraordinary lengths that Fry took in helping Europe’s refugees. Examines in particular the relationships between Fry, the Emergency Rescue Committee, and arts organizations, such as the Museum of Modern Art, and their mutual concern for promoting emigration by refugee artists. From a catalogue published in conjunction with a 1997 exhibition at the Los Angeles County Museum of Art. Includes photographs of many artists Fry helped. A memoir centering on the author’s time as a leader of refugee rescue efforts in Vichy France. Includes a new afterword that provides further context for Fry’s mission by drawing on correspondence from his personal papers held at the Columbia University Library. Opens with a preface by former Secretary of State Warren Christopher. Selected reproductions of documents from the Columbia University Library’s Varian Fry Papers. Details chronologically Fry’s work for the Emergency Rescue Committee in Vichy France, his correspondence with those refugees he had helped, and the postwar struggle for recognition of his rescue efforts. Part of a multivolume set of archival materials compiled to reflect the history of the Holocaust. Volume 5 of the series Archives of the Holocaust: An International Collection of Selected Documents. Chronicles Fry’s life story from his boisterous youth to his untimely death. Concentrates on the thirteen month period from 1940 to 1941 he spent shepherding refugees out of Vichy France to safety. Also, presents the personal stories of many of those rescued. Based in part on Fry’s personal papers. Includes forty-nine pages of notes, a bibliography and an index. Describes Fry’s 1940-1941 rescue operations, emphasizing the frequently secretive, deceptive, and daring methods by which Fry and his co-workers were able to channel refugees across France’s borders. Includes a bibliography, numerous photographic plates and a map of Vichy France. Published in Great Britain under the title American Pimpernel. Narrative history of Varian Fry’s work on behalf of the American Rescue Committee to assist thousands of artists and intellectuals attempting to flee France after the onset of World War II. Collects personal reminiscences about Varian Fry from many of the refugees he helped escape Europe. Commemorates the United States Holocaust Memorial Council’s posthumous award of the Eisenhower Liberation Medal to Fry. Includes statements by Lisa Fittko, Mary Jayne Gold and Jean Gemahling, among others. A brief guide to the exhibition by the same name held at the Museum from June 1993 to January 1995. Relates the refugee situation in Vichy France, the nature of Fry’s rescue efforts, and the intellectual milieu that surrounded him in Marseille. Includes an exhibition floor plan, many illustrations and a list of books for further reading. Reproduces primary sources concerning press coverage of the Holocaust, including Varian Fry’s essay “The Massacre of the Jews” which appeared in The New Republic on December 21, 1942. A memoir written by a German-Jewish refugee who guided some of Fry’s refugees across the mountainous French-Spanish border. Recounts the author’s harrowing stay and eventual escape from the French internment camp at Gurs and the failed attempt of the noted German critic, Walter Benjamin, to escape France. Includes numerous photographs. Describes the tense diplomatic atmosphere of interwar Europe, events surrounding the dismemberment of Czechoslovakia, and the eventual start of the Second World War. Includes fifteen illustrations and a list of books for further reading. Part of a series of foreign policy themed books edited by Fry. A memoir that relates the author’s role in assisting refugee rescue efforts through the Centre Americain de Secours, the Marseille-based relief agency set up by Varian Fry in 1940. Includes numerous black and white photographs and an index. A catalogue for a 1999 exhibition in Aix-en-Provence that gathered art from a variety of avant-garde artists that Fry had helped to escape Vichy France. Provides reproductions of artworks created in the 1940-1941 period, some of which were produced by artists like Andre Breton and Jacques Hérold at Villa Air-Bel, the country estate that Fry shared with many refugee artists. Includes many illustrations, twenty-five pages of color plates, and a bibliography. Recounts how Varian Fry organized the illegal escape of many of Germany’s leading intellectuals and artists imprisoned in France. Describes the cerebral atmosphere at Villa Air Bel, the country house just outside Marseille that Fry shared with a group of refugee artists. Based in part on interviews with some of the artists and writers Fry helped save. Movie based on the life of Varian Fry. Describes his rescue efforts during World War II. Documents Varian Fry’s rescue efforts in Vichy France. Chronicles the events in Europe that lead to the founding of the Emergency Rescue Committee and the horrid conditions faced by refugees in Vichy’s internment camps. Made in conjunction with the Varian Fry Foundation Project of the International Rescue Committee. Examines the lives of two men, Varian Fry and Ernst Hanfstaengl, who responded differently to the cataclysmic events of the Second World War. A documentary film that focuses on Fry’s efforts on behalf of the many European artists and intellectuals, who found themselves unable to escape wartime France. Uses Fry’s memoirs, archival film, and interviews with both former refugees and Fry’s associates to tell the story of Fry’s courageous actions in saving those threatened by Nazi persecution. 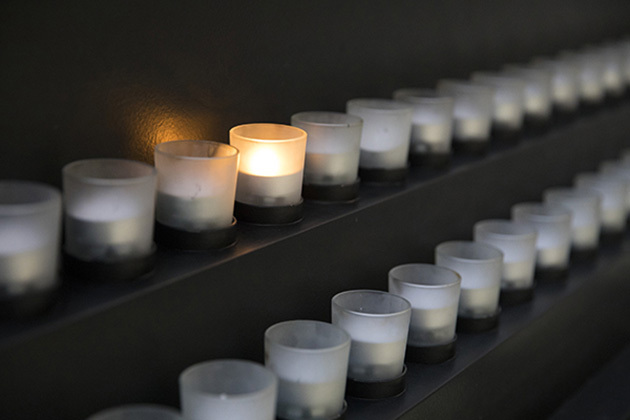 An online exhibition that briefly addresses the topic of rescue in the Holocaust. Guides users to articles and other Museum Web resources about rescue and rescuers, including Varian Fry. Created in conjunction with the 2002 Days of Remembrance ceremony. Nonprofit organization dedicated to documenting and honoring the rescue efforts of the residents in and around Le Chambon-sur-Lignon, France, who risked their lives to shelter 5,000 Jews, many of them children, from the Nazis. Describes the film projects undertaken by the Foundation’s founder and president, documentary filmmaker Pierre Sauvage, particularly highlighting the award-winning documentary Weapons of the Spirit about Le Chambon-sur-Lignon, and the upcoming documentary, And Crown Thy Good: Varian Fry in Marseille, slated for release in 2002. Also provides information about forthcoming film projects based on the books Crossroads Marseille by Mary Jayne Gold and Resistance of the Heart by Nathan Stoltzfus. Includes photographs, biographies, book excerpts, and links to related Web sites and online articles. Details the activities of Martha and Waitstill Sharp, an American couple who worked alongside Varian Fry to help Jews escape Nazi-occupied France. They were the second and third Americans to receive the title Righteous Among the Nations. Summarizes Fry’s involvement with the Emergency Rescue Committee and the steps he took to save nearly 2,000 refugees in Vichy France from 1940 to 1941. Also provides links to a few related resources. 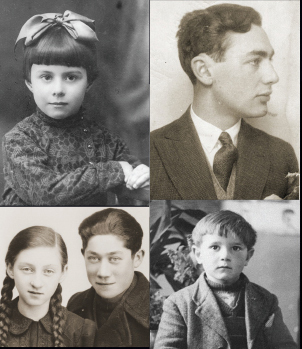 Web site created by The Varian Fry Foundation Project/IRC chronicling the rescue mission of Varian Fry, who helped save thousands of Jews in Vichy France, among them many of the important writers and artists of the 20th century. Includes a comprehensive links page, bibliography, and national calendar of events related to Varian Fry.